Don’t have a washer and dryer? Don’t have the time or energy to hit the laundromat? Not to worry – a fledgling startup by the name of FlyCleaners is here to help. 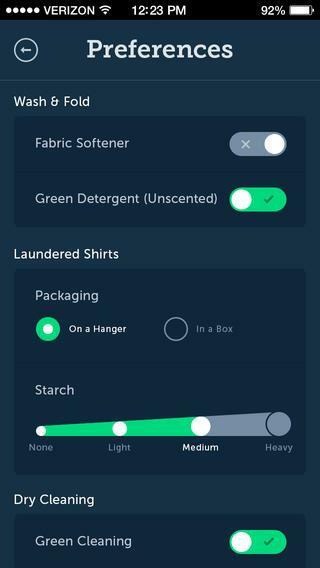 Launched earlier this year, the company’s mission is simple: to make doing your laundry easier than ever with its snappy on-demand platform. Using the FlyCleaners app for iOS or Android, you start by requesting a pickup and specifying how much you need washed. Enter your request, and within hours the company will send a “Fly Guy” to your house, pick up your laundry, wash/dry/fold/hang everything, and drop it off at the time and location of your choosing. The company recently announced that it has raised about $2 million dollars in seed funding from Zelkova Ventures and a handful of undisclosed angel investors. The money will most likely be used to expand FlyCleaners’ reach, since the startup currently only offers its services in North Brooklyn. In an interview with TechCrunch, Flycleaners CEO David Salama indicated that the company’s immediate goal is to expand into Manhattan and other areas in Brooklyn, while also beefing up the number of employees it uses for pickup and delivery. FlyCleaners definitely isn’t the first startup of it’s kind. On-demand laundry services like Wash.io and Prim have been operating in California for a while now. And while FlyCleaners’s business model is undeniably similar, Salama claims that it’s different because it places more of an emphasis on fast on-demand service, competitive pricing, transparency, and superior customer service. Those of you fortunate enough to live in FlyCleaners’ area can get five pounds of laundry washed, dried, folded, and delivered to your door for just $4.95. Every additional five pounds of clothing costs the same amount, which really isn’t that bad when you consider that pickup and delivery are completely free of charge. If you don’t have a washer/dryer in your space, FlyCleaners may very well be a viable alternative to the laundromat.